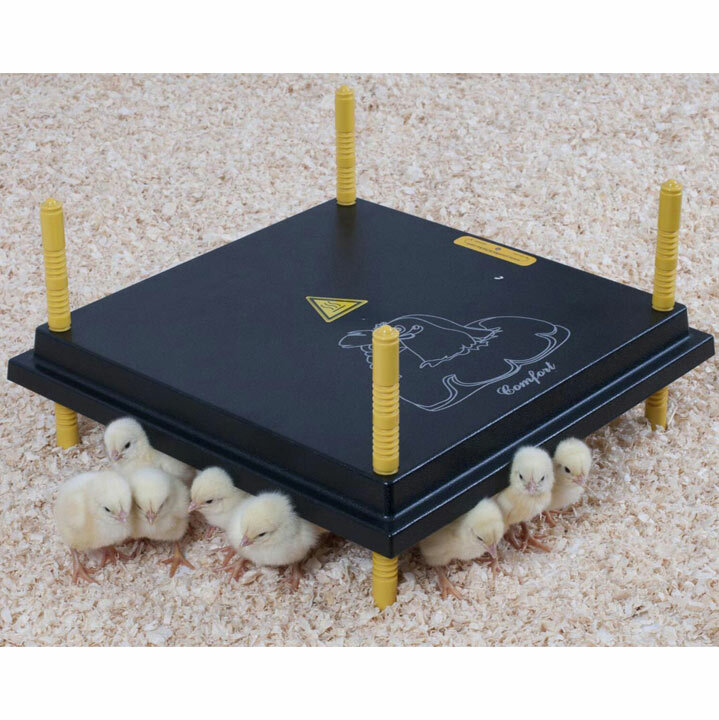 An "electric hen" type brooder allowing the chicks to settle under the heat or to toddle around within the Adjustable Brooder Ring (available separately). The sturdy legs are screwed in or out to adjust the height of the brooder above the chicks' backs as they grow. As the chicks become adventurous they will climb on top of the brooder but it is easy to clean and has sealed elements. Complete with an adjustable temperature regulator. The CHICKTEC Comfort 40 Plus measures 40 x 40cm and is suitable for up to 40 chicks or 89-90 quail.